Otis Brook tumbles down the northwest slope of Jay Mountain. This initial steep descent gives it an undulating step-pool form. Birch, maple, beech, and ash stick out from thickets of shrubs, and a carpet of ferns and grasses. Shaded and cool, the brook spills out of the Jay Mountain Wilderness at Jay Mountain Road, where for over 50 years it has been forced through an undersized, 30-inch metal pipe crossing under the road. Standing on this road, looking upstream, it is hard to imagine how such a small ribbon of water can support such a diversity of wildlife. Otis Brook is full of small brook trout, invertebrates, frogs, toads, and salamanders; an abundance of mammals frequent it; all are reliant on its cool, pure waters. Small streams such as this are refuges, rich ecological havens capable of protecting multiple species from the challenges of development and climate change. 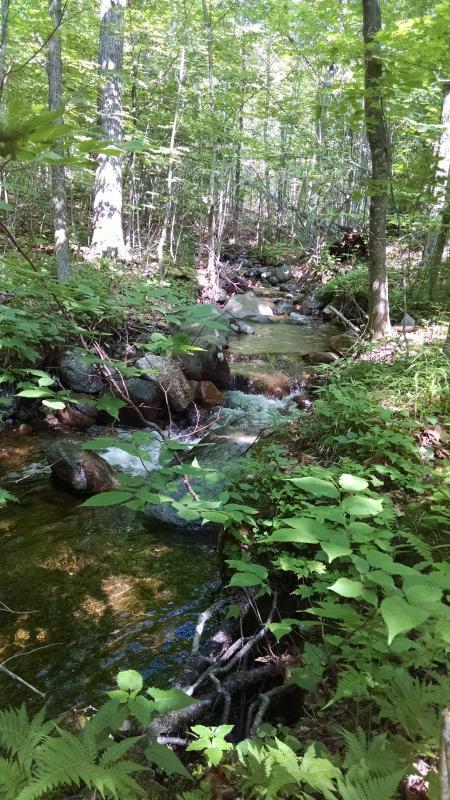 AsRA with its partners, the Town of Jay, US Fish and Wildlife Service, Adirondack Chapter of The Nature Conservancy, Essex County, and NYS Department of State restored this upstream portion of Otis Brook, a tributary of the Ausable River's East Branch in the Town of Jay. Working together, these partners replaced the undersized, 30-inch pipe culvert running under Jay Mountain Road – a frequent source of flooding that required repeated maintenance by the town highway department – with a 17-foot wide aluminum arch culvert designed and sized specifically for this site. 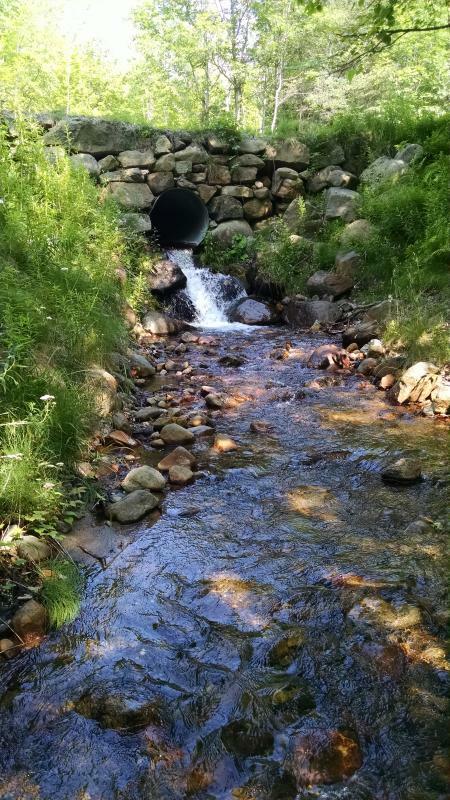 The new culvert allows Otis Brook, its population of native brook trout, and other wildlife to move unimpeded under the road. Construction ran from Wednesday, 13 July to Monday, 15 August. See a slideshow of the project here. 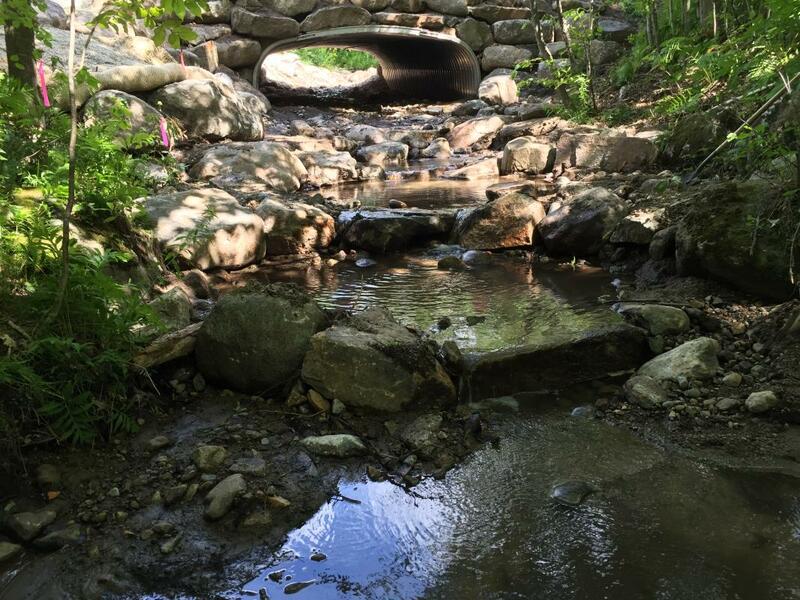 This project is part of an initiative led by AsRA and the Adirondack Chapter of The Nature Conservancy to improve stream connectivity, fish habitat, and community flood resilience in the Ausable River watershed by replacing road-stream crossings with designs engineered to allow for natural stream pattern and flow. Culverts that don't allow fish passage can also pose serious risks to road infrastructure and public safety. Fixing these problems helps all concerned – reducing flooding, road and culvert maintenance, and property damage after floods. It also provides safe passage for trout, frogs, salamanders, and many small to mid-size mammals. In the process, town road crews gain experience installing climate-ready, fish-friendly culverts. The upfront investments of time and costs will save money in the long term as the culverts should last 60-70 years. The Town of Jay led construction of the culvert, donating their time and equipment costs. The Nature Conservancy secured grant funding for the project from the National Fish & Wildlife Foundation's Hurricane Sandy Coastal Resiliency Program through the U.S. Department of Interior. AsRA served as project manager, overseeing planning, survey, design, and construction, and provided additional funding through the New York State Department of State under Title 11 of the Environmental Protection Fund.